Riverford cool bag. Handy to leave out on the doorstep if you’re not going to be in when we deliver. We’ll pack away your milk, cream, yogurt, cheese and any other chilled things. Just leave it out with some icepacks and we’ll do the rest. 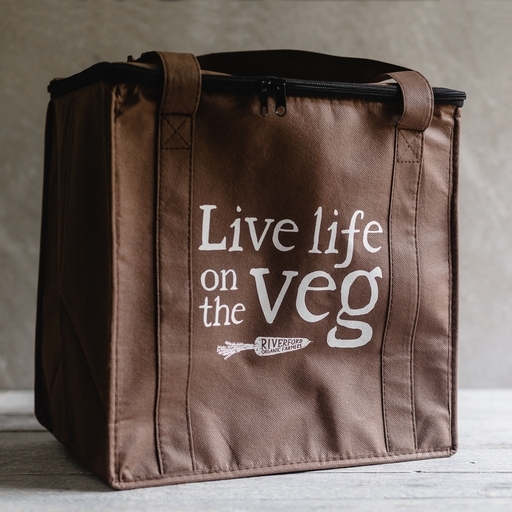 Also brilliant for picnics and travelling. These cool bags are a generous size 33x25x33cm (WxDxH).